Kingdom Hearts: Birth by Sleep (キングダム ハーツ バース バイ スリープ, Kingudamu Hātsu Bāsu bai Surīpu?) is an action role-playing game developed and published by Square Enix for the PlayStation Portable. The game was released in Japan on January 9, 2010, in North America on September 7, 2010 and in the PAL regions on September 10, 2010. Kingdom Hearts: Birth by Sleep was also released with a limited edition PSP-3000 as a bundle in Japan featuring designs from the Kingdom Hearts series on its back. 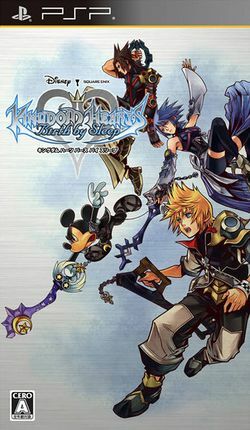 An international version of the game titled Kingdom Hearts: Birth by Sleep Final Mix was released in Japan in January 2011 featuring the changes made in the non-Japanese versions. A high definition version of the Final Mix edition was released for the PlayStation 3 in 2014 and PlayStation 4 in 2017 as a part of the Kingdom Hearts HD 2.5 ReMIX collection. The game is a prequel to the original Kingdom Hearts, taking place ten years before, and features many previously unseen characters and unexplained plot elements from the series. The game centers on the journeys of Terra, Aqua, and Ventus, characters briefly featured in Kingdom Hearts II, in their quest to locate the missing Master Xehanort. The game also utilizes an overhauled battle system different from previous games in the series with new elements such as the Command Board, Command System and Dimension Links added in. Development of the game began in June 2005 with parts of the game Kingdom Hearts II Final Mix meant to bring clues of Birth by Sleep. The game was directed by Tetsuya Nomura and co-directed by Tai Yasue. Nomura has referred to the game as "Episode 0" (and later "Episode 0.1") saying that the game is on the same scale and plays as big an importance as Kingdom Hearts and Kingdom Hearts II. 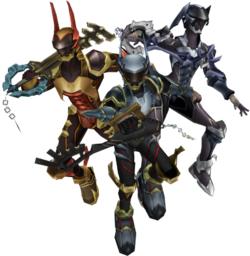 The three main characters are Terra, Aqua and Ventus, a trio of Keyblade apprentices under Master Eraqus, who aspire to become Masters themselves. In the Land of Departure, Terra and Aqua take an exam to achieve the Mark of Mastery. Master Xehanort manipulates the test so only Aqua passes and Terra fails, lessening Terra's control of the darkness in his heart. Shortly after the test, Xehanort disappears and a horde of mysterious creatures called the Unversed begin to appear throughout the worlds in pursuit of the Princesses of Heart. Learning about these developments from Yen Sid, Master Eraqus sends Terra and Aqua to destroy the Unversed and find Xehanort throughout the countless worlds. Later, Xehanort's apprentice Vanitas convinces Ventus to follow Terra against Eraqus' wishes, while Eraqus orders Aqua to watch over Terra and bring Ventus back to the Land of Departure. This page was last edited on 25 November 2017, at 03:01. This page has been accessed 45,351 times.